The conference, which is in its seventh year, saw more than 200 delegates who represent the country’s most respected companies and brands, in attendance. The conference highlighted the state of the South African economy, the evolution of technology, retail and consumer trends. Among the informative speakers, duo from Pricewaterhouse Coopers (PwC), Claudia De Gouveia-Macedo, Strategy and Transformation Manager and Joven Pillay, Customer and Digital Consulting Leader presented an interesting and thought-provoking discussion on ‘Retail in 2030’. Technology will dominate retail in 2030. PwC shared a closer look at the 2030 shopper, Shopping Centres and retailers and what we would require in order to offer a 360-degree interaction with their brand, store or product to customers-a complete evolution of today’s version of the omnichannel approach. Technology is here to stay and as customer trends evolve, the way retailers approach them need to evolve too says Odette Schwegler, founder of Bl!nk Pictures. Odette took delegates through ‘Content Marketing’ and taking it to the next level. “We need to do away with traditional media platforms and provide the customer with the creative freedom to share their interaction with your brand and products in ways not explored as yet,” she said. One of the omni-present themes echoed throughout the conference was ‘knowing one’s customer and the different techniques used to get to know them’. The better informed one is with customers, the better equipped one is to cater for their needs. Kate Snyder, Head of Anthropology at Instant Grass International agrees. “This is true among millennials and how they shop and influence their peers to also support a specific brand or company. Retailers need to know who these customers are, what they like, who they like and what makes them happy,” she said. 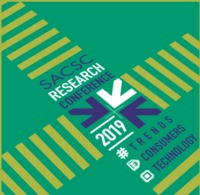 SACSC President, Jeff Zidel expressed how tumultuous the past year had been in terms of the economy but also how steadfast the shopping centre and retail industries had been in order to cope with these challenges. 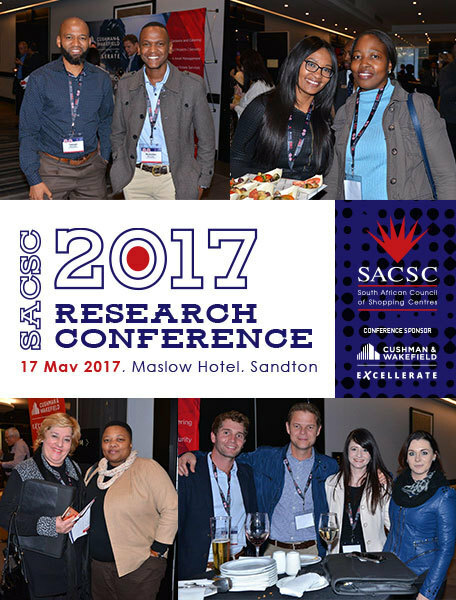 “In its seventh year, the Research Conference has definitely grown in leaps and bounds. In spite of the challenges, the industry has advanced progressively and research-driven decisions have been crucial to paint a clear picture of the market and empower the retail and property industry,” he said.